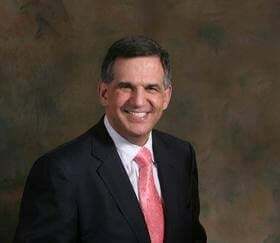 Effective January 1, Houston facial plastic surgeon, Dr. Russell Kridel has been installed as the President of the Harris County Medical Society (HCMS) for 2013. The HCMS is the largest county medical society in the nation, with more than 11,000 physician and medical student members. Its mission is to be the leading advocate for its member physicians, their patients and the community, in promoting the highest standards of ethical medical practice, access to quality medical care, medical education, research, and community health. Dr. Kridel is also very active with the Texas Medical Association (TMA) and American Medical Association (AMA). He currently serves as president of the TMA Foundation Board of Trustees, consultant to the TMA Council of Legislation, member of TEXPAC Board of Directors, and HCMS Delegate to the TMA. He also serves as chair elect on the AMA Council on Science and Public Health, AMA Delegate representing his specialty, and on the Governing Council of the AMA Specialty and Service Society. He is a former president with the American Academy of Facial Plastic and Reconstructive Surgery and has won numerous prestigious awards for surgical excellence, including The F. Mark Rafaty Award, the highest honor from the American Academy of Facial Plastic and Reconstructive Surgery. Dr. Kridel’s presidency of the HCMS further demonstrates his passion for his profession and his patients, as well as his commitment to providing the highest standards of care. Join all of us at Facial Plastic Surgery Associates in congratulating Dr. Kridel on this significant honor. Check out the announcement in the Houston Business Journal.